‘The Runt’ is Hykade’s fourth independent film. 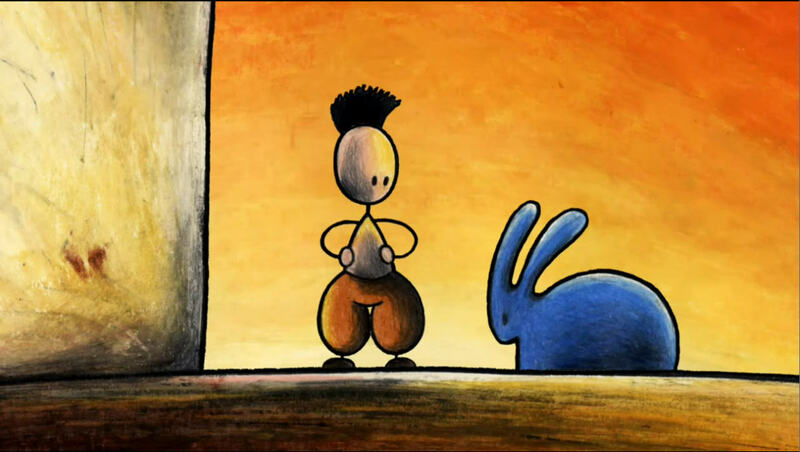 It’s a disturbing short about a little boy who is allowed to keep a pet rabbit, if he’s going to kill it himself the next year. Hykade’s simple and cute designs, and use of bright colors contrast with the film’s grim story, but they also make it watchable for everybody. There’s practically no reference to any time or place, and its story about death and coming of age has a universal appeal. Its timelessness makes the film an instant classic. ‘The Runt’ may not be as bold as his previous film, ‘Ring of Fire’ (2000), it is a great example of Andreas Hykade’s talent. He has succeeded in creating one of those rare shorts that make you think.